The lock screen music player in iOS 7 has all the controls you'd ever need from a lock screen, but it's not as visually appealing as I hoped it would be. Yes, it does show you the album cover art, but the way everything is presented makes it feel cluttered. 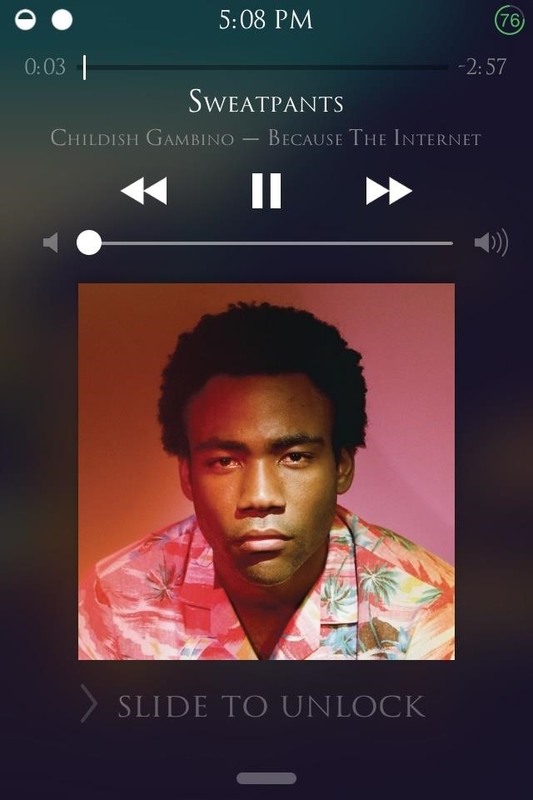 Good news is you don't have to stick with Apple's own lock screen music player. 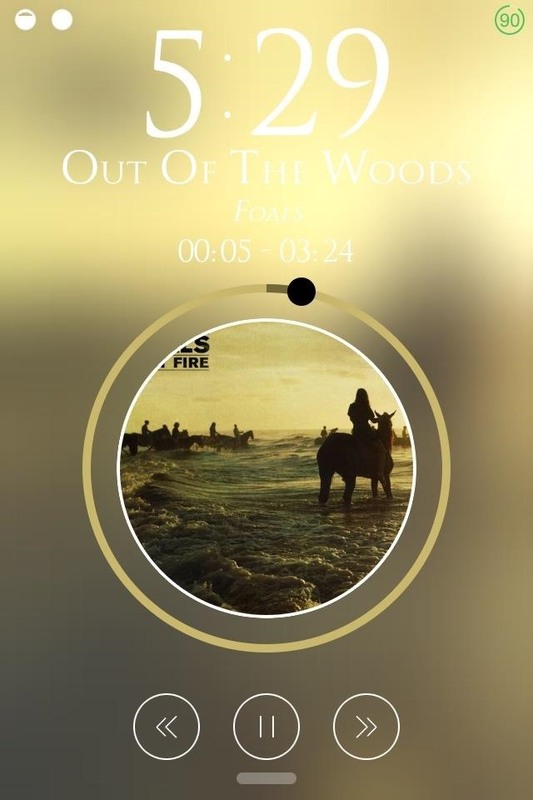 If you're still on iOS 7.0.X and jailbroken, there's a tweak by developer sayeris called Spin that reimagines what the lock screen music player should be on your iPad or iPhone. This tweak will run you $0.99 from Cydia, but you have a chance to score one of five free copies we're giving away. Scroll to the bottom of this article for the full contest details. 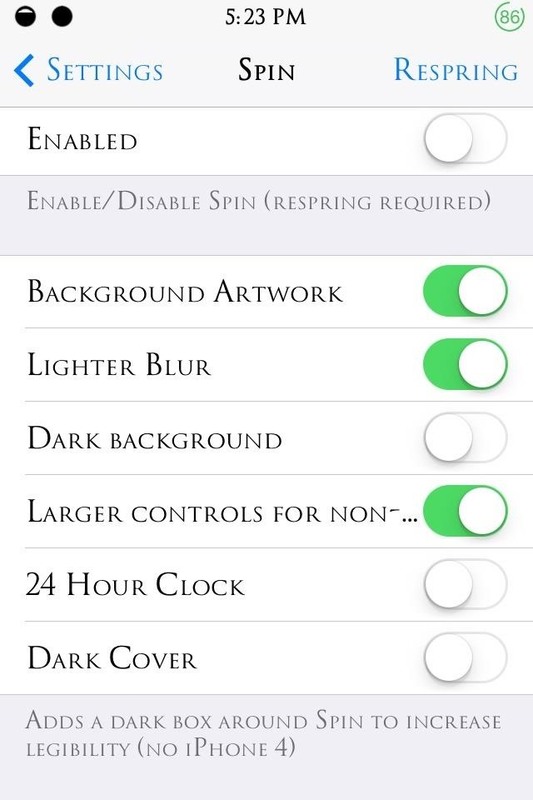 After installing Spin from Cydia, open your device's stock Settings app and tap on the Spin preferences. Afterward, hit Enable to apply the tweak to your lock screen. 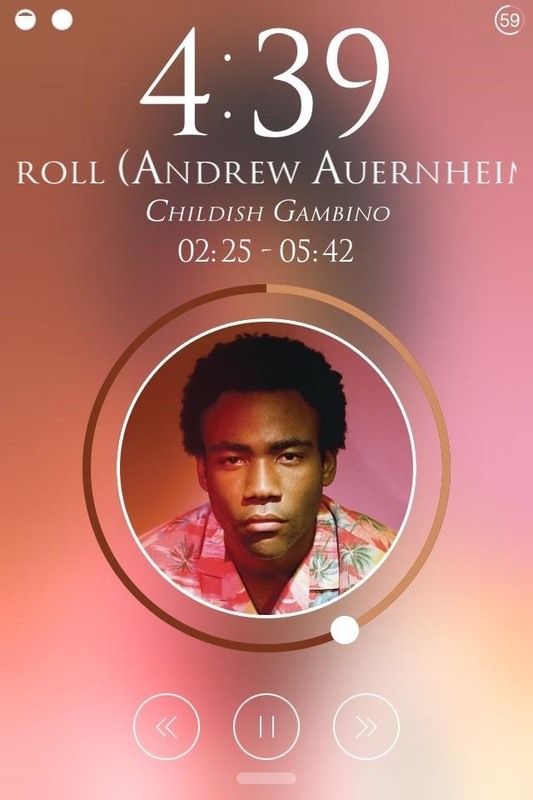 One of the options include Background Artwork, which switches out the blurred out lock screen wallpaper with a blurred version of the album art cover, creating a pleasant ambient effect. 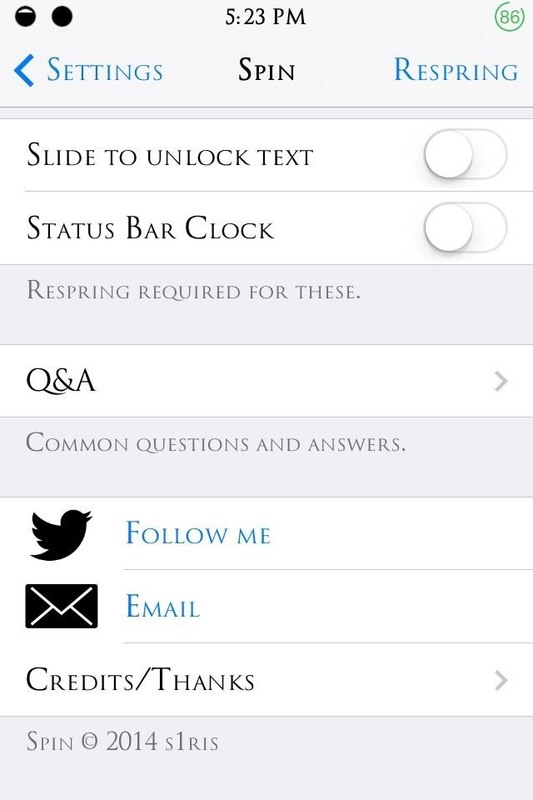 There are also options to change the clock format and tweak the displayed images. I'd suggest toggling off the Slide to Unlock Text option, as it can cause a slight lag on your device if it's enabled. You'll still be able to slide to unlock, only the text won't appear. I actually like it this way better. How many times do you have to be visually reminded of how you unlock your phone? After setting Spin up how you want, just Respring your device and start playing some jams to see what your new lock screen player looks like. As you can see, instead of the square album cover art, you get a sleek circular image, with a blurred out version in the background for ambience (if you selected "Background Artwork"). 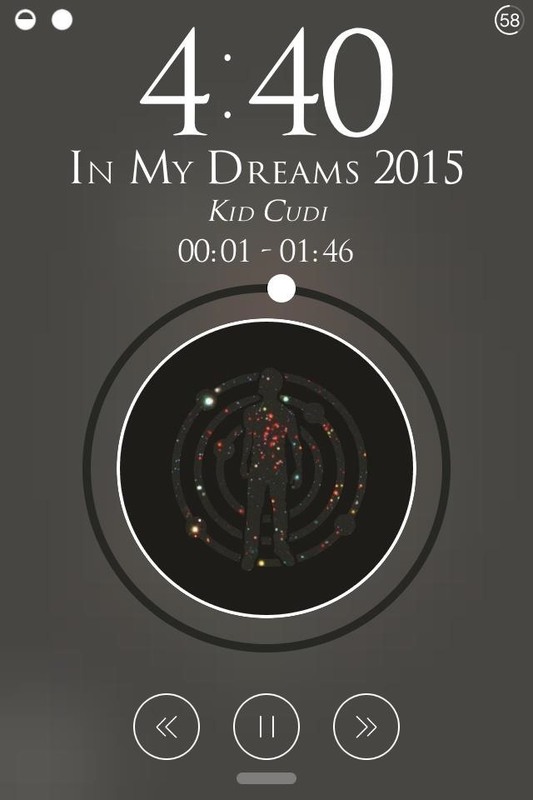 Encompassing that circular album art is the playback slider, now more visually prominent than the stock version. Everything that was in the stock player is here, just located differently, except the volume slider. As great as Spin is, there are a few minor problems with this tweak. There's the lag mentioned before, but it can be avoided by disabling the "Slide to Unlock Text" as discussed. Also, there's the missing volume controls, but those can easily be accessed by bringing up the Control Center or by using the volume rockers on the side of your device. The other thing is that the playback slider isn't as accurate or easy to use as it looks, but who actually uses the slider anyway? I rarely skip ahead in songs, and just like the volume controls, you can access the normal straight slider in the Control Center. As you can probably tell, none of these are huge issues, since the Control Center serves as a quick backup method for volume and playback, and because who really needs a slide to unlock text on their lock screen? How to Win a Free Copy of Spin! Spin is only $0.99, which is a much better buy as opposed to something from the McDonald's Dollar Menu, but for a limited time you can enter a raffle to win a free copy of Spin! Complete the following steps for your chance to win a free copy. Tweet at both accounts with a picture or screenshot of your favorite album cover artwork. That's it. This contest will run through end-of-day Friday (March 21st), and we'll randomly choose five winners to receive a free copy of Spin over the weekend. The winners will receive a direct message with instructions on obtaining the tweak. Trajanus Roman. Enjoy and thanks!